This week has been trully amazing. I had two patients that had chronic back pain for over ten years. One patient has such bad back pain that she ate 3 oxycotin a day! Those are serious pain pills.Amazingly after the first sesion on the DRX 9000 she stood up and almost started to cry it was that much better. The pain did come back later that day but we know that if she follows the course of treatment prescibed to her that she will be permantley pain free. 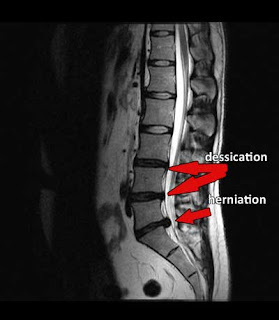 Both of these patients that had severely herniated disc at the L5-S1 which caused impingment on the S1 nerve root. In the future I hope to post pre and post MRi results with my patients on this blog, with their permission of course (and names protected).